When tomatoes, and flour bombs were launched on to the stage of the Royal Albert Hall at the 1970 Miss World beauty pageant, terrifying the host Bob Hope, it was a surefire movie moment. As many as 100 million viewers saw the Women’s Liberation Movement protest, in which they chanted: “We’re not beautiful, we’re not ugly, we’re angry” – a glorious act of defiance against the objectification of women. Yet others haven’t thought of it that way. When the producers behind The Crown tried seven years ago to get a film made about the start of the WLM, it was rejected. But now, in the wake of #MeToo, the script for the film – titled Misbehaviour and to star Keira Knightley and scheduled for release in 2020– is being revived. KEIRA KNIGHTLEY IS SET TO BE IN THE STARRING ROLE. Gugu Mbatha- Raw WILL PLAY JENNIFER HOSTEN MW 1970. 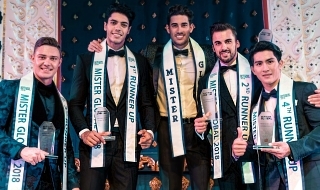 According to The Hollywood Reporter, the film is based on the cultural shifts that occurred during the widely-viewed 1970 Miss World in London when Hosten won the title. It was considered an upset, since Miss Sweden was projected to win. "In a matter of hours, a global audience had witnessed the patriarchy driven from the stage and the Western ideal of beauty turned on its head," states the article. On top of that, the women's liberation movement protested against the Bob Hope-hosted pageant during the live telecast. The film will be directed by Philippa Lowthorpe and produced by Left Bank Pictures and Pathé. The 70s were a headache for Eric and Julia Morley! Racism was still very strong, and the Miss World pageant has been accused of pageant fixing in the decades of the 60s and 70s. One of the most notable event was in 1970 when Grenada’s Jennifer Hosten won the title. Grenada’s Prime Minister, sir Eric Gairy was a judge during the finals and was suspected of having a hand at her Miss World victory. Many important personalities were part of the event as the actress Joan Collins or the presence of Princess Margaret (sister of the Queen of the United Kingdom). Other of the biggest stain began in this edition was it's involvement in the Apartheid issue in segregating a MISS AFRICA SOUTH (black girl) and a MISS SOUTH AFRICA (white girl). This practice continued until 1976. Another anecdote was that Georgina Rizk (Miss Lebanon) competed in this edition but unplaced. The following year was crowned Miss Universe 1971. SCANDALS + CONTROVERSY = MISS WORLD!....THE PRACTICE IS STILL THE SAME NOW! IT WAS JUST SARCASTIC HUMOR ON BOB HOPE'S PART. A JAB AT THE PROTESTORS OUTSIDE. 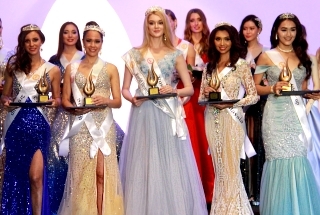 Miss World has always been tainted with controversies and game-fixing up until now. LOL so they made the feminists attractive in this film? I am hating this! chellomellow wrote: LOL so they made the feminists attractive in this film? I am hating this! I'M NOT ANTI-FEMINIST BECAUSE I AGREE WITH THE PRINCIPLE OF EQUALITY. MY ISSUE WITH FEMINIST GROUPS IS THAT THEY NITPICK AND ATTACK EVENTS LIKE PAGEANTS WHICH ARE AN EASY TARGET AND NOT A THREAT TO FEMALE EMPOWERMENT. WHY NOT CHAMPION BIGGER CAUSES LIKE THE SUPPRESSION OF WOMEN IN RIGID PATRIARCHAL CULTURES LIKE THE MUSLIM WORLD, WHERE WOMEN HAVE LITTLE TO NO RIGHTS. THE WOMEN IN PAGEANTS ARE COMPETING AT THEIR FREE WILL AND ARE BENEFITING FROM THE OPPORTUNITIES THAT THEY GET. A REAL FEMINIST SHOULD SUPPORT WOMEN IN THE DECISION THEY MAKE TO PERSUE THINGS THEY ENJOY. I'VE NOTICED THAT MWO HAS OVERTIME GIVEN IN TO THE PRESSURES, ALBEIT SOME FOR THE BETTER. 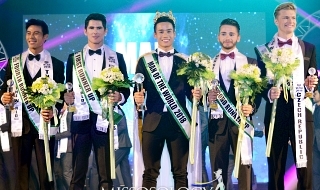 THEY HAVE ADDED MR WORLD SO ITS NOT A SEXIST THING AND THEY HAVE MOVED AWAY FROM THE PHYSICAL SCRUTINY OF THE CONTESTANTS, THE SCRAPPING OF BEACH BEAUTY WAS THE DEATH OF THAT ERA, THAT WAS BEING PHASED OUT SINCE THE 90S. NOW ITS MORE ABOUT THEIR TALENTS, INTEREST, ABILITIES, VOLUNTEERISM, PERSONALITY AND PURPOSE WHILE CELEBRATING THEIR BEAUTY AND CULTURES. THE EVENTS OF THE 70S REALLY SHIFTED MW. Gugu Mbatha-Raw IN CHARACTER AS JENNIFER HOSTEN IN THE UPCOMING MOVIE 'MISBEHAVIOUR'. JENNIFER HOSTEN MISS WORLD 1970.